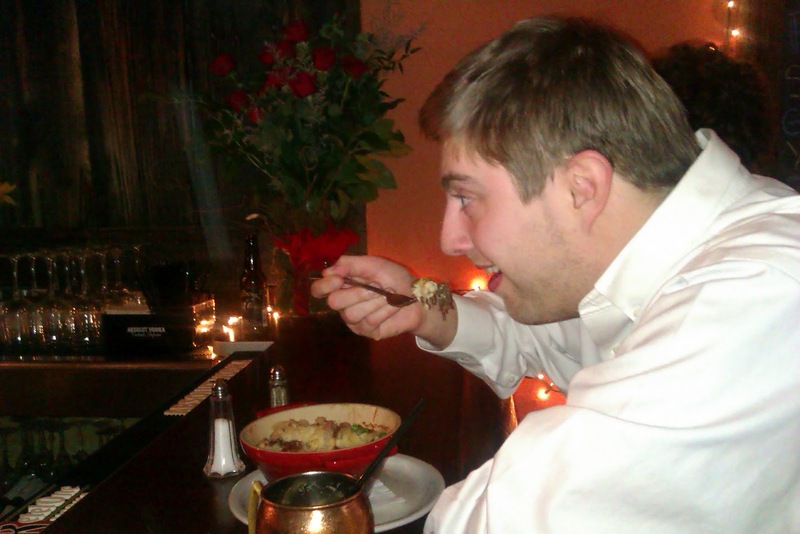 Alchemy and Ale has received a lot of negative feedback from Pittsburgh diners. As a result, I approached the restaurant/bar with skepticism. I was most pleasantly surprised by the $3 happy hour special - any draft beer for only $3! I thought the food was actually pretty good as well. In particular, I liked the pork belly quesadillas with the spicy cucumber topping. I found the shepard's pie to be somewhat bland and in general I found most of the selections to be overpriced. 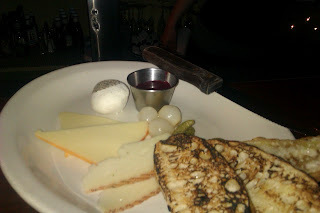 For example, take my cheese plate pictured below. The cheese and toast were just fine, but the portions were too small to warrant the price tag. I find this to be one commonality between most places that call themselves gastropubs. Small portions and large price tags. I suppose I should not be surprised, this is the very nature of the gastropub. A bastardized version of both a pub and a fine restaurant lacking the portion size of pub food and the elegance of fine dining. Do you have a favorite Pittsburgh gastropub? Tell me about it and maybe I'll stop by. The cheese almost stands alone. Out of curiosity, when was your visit? There has been a lot of confusion on the internet over the past couple of weeks (at least on Twitter and Yelp) as to whether or not Alchemy & Ale is still open. I can assure you it was very open on February 16. They were even pretty busy! I'm a huge fan of Round Corner Cantina. It's a gastropub, but it's definitely/obviously a LATIN gastropub. Swing by if you're in Lawrenceville. Love that place.